The optimistic part of me believes DJs avoid redlining, but more often than not I’m being proved wrong. When you’re starting to look to DJing as more than just a pastime and are even looking to make a full time job out of it, you need to be fully aware of how to manage the sound levels. It’s our job as DJs to make sure that we’re providing the best sound possible to our audience and by taking care of this easily overlooked aspect we are representing our music in the right way by allowing it to sound as it was intended to sound. As I’ve seen in plenty clubs, there are working DJs who don’t have ANY clue about controlling distortion or limiters; some actually seem to embrace the full scale of unclear sound and subconsciously are turning their public into unsuspecting participants of an attempt to make them deaf. Keep the VU-meters on your mixer out of the red. If you’re in a car driving along and you come across traffic lights, you’ll go through green, push forwards even on yellow, but stop on red if you know what’s good for you. On the same basis of this simple rule, you need to adapt your gains, limiters and/or compressors. future.dj pro has automatic perceptual gain that dynamically change the levels of the tracks you play, but if you decide to use an effect like a cut-off filter with a resonance parameter, which can stretch the output, it’s best to be aware of all the tools that your DJ setup is offering. #2 Limiters are both friends and foes! If you gave a great deal of thought to the rule above, this will keep limiters from becoming foes. I’ve noticed a DJ that took over from my DJ set and immediately rose the gains and Master to maximum, probably seeing that the crowd was pumped. In reality, the limiters of the mixer kicked in and outside the DJ booth you could actually hear that he was playing at a much lower volume than he thought. #3 Listen to the sound system! When I say this I don’t mean to listen to how great the set sounds in your mind, something that I also found myself doing on several occasions. Actually be directly engaged in what your people are facing soundwise because this will be the difference between a pleasurable experience and strained ears. If you’re surrounded by monitors, turn them down or off, at least until you can identify objectively if the main sound is crisp. So, ignore the monitors, take off the headphones and use your ears to listen to what’s coming out of the speakers. You might be lucky and have a sound engineer at the back of the room, but a sound engineer won’t be at every party you mix at. No engineer? Try, when possible, to go to the middle of the dancefloor and actively appraise the quality of the sound, which brings us to the final rule. #4 What you play is what you get! All the other rules fall short if you’re neglecting this one. All DJs avoid redlining or think they are and the audio quality of the tracks you choose, covered in greater detail here, is the first step that ensure you haven’t failed from the get-go. Downloading ripped audio from YouTube, Soundcloud and other dubious sources might be a shortcut to getting something rare fast, but this DJ will constantly be battling with the EQs just to try and squeeze some quality out of each atrocity of tracks. These rules can help you keep the party from becoming unforgettably hard on the ear because the point to any DJ’s purpose is to ensure everyone is having the best time and that the tracks played are represented in the best possible quality. 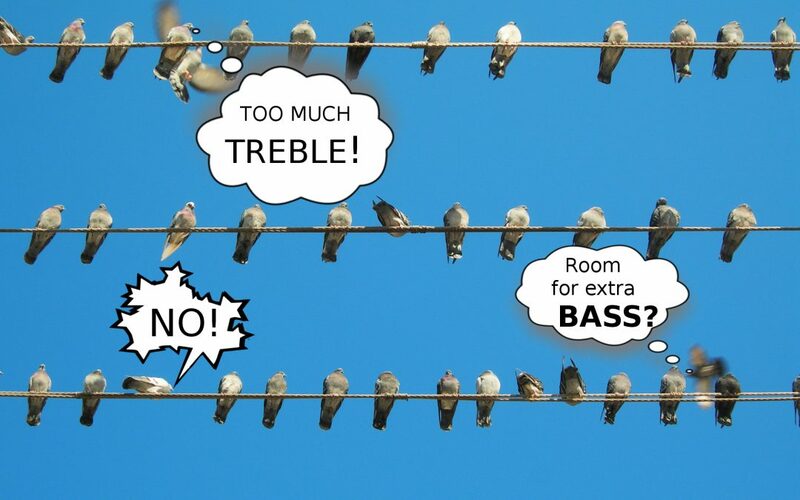 Do you have your golden rules for managing sound? Let us know in the comments below.